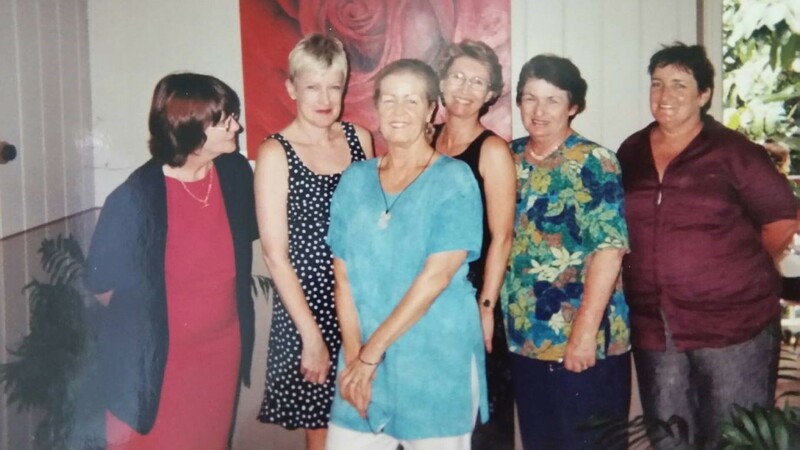 Jubilee staff circa 2002: Board member Denise Bolland, receptionist Meredith Beck, coordinator Michele Willkinson, manager Judith Rodins, coordinator Sandra Veldman and administrator Diann Amps. A brainstorming session by a group of people sitting on bean bags has forever changed the lives of the elderly in Brisbane’s northwest to southwestern corridor. Out of that session in 1989, investigating how to best meet the needs of the elderly around Paddington, was born Jubilee Community Care. Now in 2019, Jubilee celebrates its 30th birthday. In its inception Jubilee was a Community Options Program, a pilot project by the University of Queensland’s Social Work Department and funded jointly by the Australian and Queensland governments. The project was overseen by a Steering Committee under the auspices of the Aged Care Unit of the Red Hill Paddington Community Centre. Dr Salecich reported Joan Sherrin-Moody was one of Jubilee’s first Brisbane aged care workers, a committee member and Board President. The late Kathleen Szabo, a client, was an inaugural member of the Steering Committee and Board member until 2004. Also, Jenny Bostock was a member of the inaugural Steering Committee and Board President from 1996 to 2004. The organisation obtained two capital grants through Queensland Health’s Home and Community Care (HACC) Program to purchase first the property at Jubilee Tce, Paddington, then later its current property at 87 Central Ave, Indooroopilly. In 2002 Jubilee Community Care moved from Paddington to temporary premises at Toowong and, in 2003, to its current premises. Over the years Jubilee has had subtle name changes – from Jubilee Community Care Association Inc to Jubilee Community Care Incorporated (2009) and then Jubilee Community Care Inc (2013). Jubilee will host its 30th birthday celebrations later this year. Watch this space to find out more. And if you have any memories or memorabilia to share email marketing@jccagedcare.org.au or phone 3871 3220.